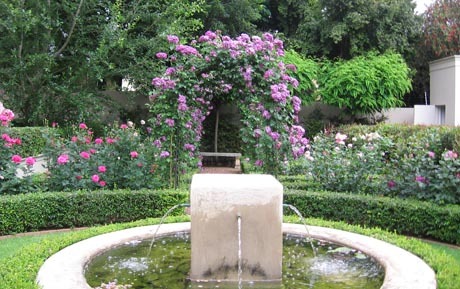 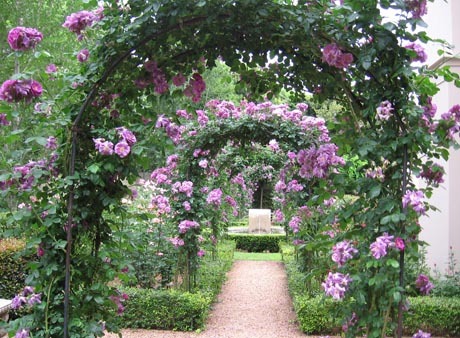 A sunken rose garden with ‘Rhapsody and Blue’ roses flowering abundantly over arches. 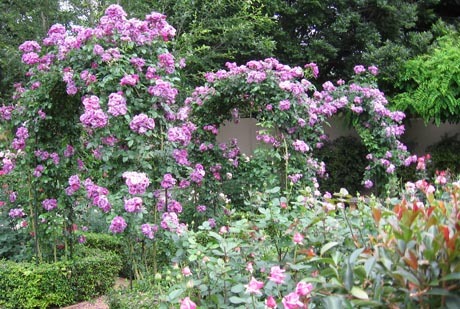 The roses are all in shades of pale to dark pink with the blue roses as emphasize. 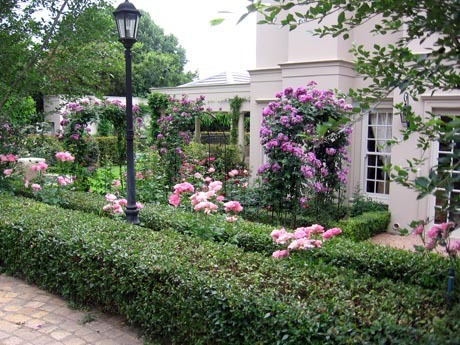 In winter poppies are planted under the roses so that there is something to pick all year round.